The answer is, to go away. Because the only way to be regaled with tales of how this household falls into dystopia, is to leave everyone alone for awhile. This is the fourth year in a row that I've gone away to the BlogHer conference. From the start, my youngest has kept a daily tally of all the wrong doing and injustice that happens when I'm not here to make sure that all remains fair and just in this four bedroom French Country home. It becomes Auggie's mission to let me know just how the mice play while the cat's away. I picture my son, with every non-imagined slight in his direction, take to the pencil and retrieve to a corner, sounds of lead scratching away furiously on paper as he fills page after page, nothing escaping his watch. He takes this seriously. And so do I. As he ceremoniously hands the book of notes to me when I'm back home. But later, in a quiet 11 p.m. moment, I Am Dying. These occurrences, they're very unordinary to him. It's what things are like when I'm not here, the one who is used to the flow of this home. A usual hamburger order through a drive-thru undoes my husband because he's not used to all the eccentricities of this tribe. I'm here for 70 percent of it all, and the kids forget that. --Dad argued that a double hamburger, plain, is in fact, a special order. He says he needs *advance notice* before placing a *special order* at the drive-thru or else we have to go in if he doesn't know it's coming. --They let me sleep all day. --We got one meal. He made us pancakes. 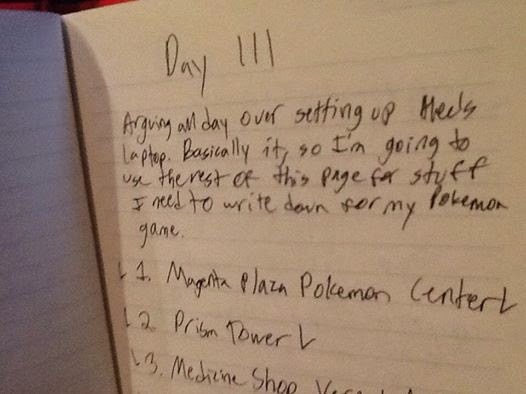 --Arguing all day over setting up Alec's laptop. Dad says he won't be ready for college. --I think I have a rash from raspberries. --Later he said it's okay, so that's okay. --Apparently I have to wear shorts today even though it's cold out because there's a shortage of clean laundry. --Everyone forgot to tell me to take a shower while you were gone and on the last day they all yelled at me that I would stink for when you got home. That's why I have wet hair going to pick you up now mom. *It's like they want me to be a crazy science professor so I don't have to get washed up or anything. --We're leaving to get you now mom. I'll see you soon and as soon as I see you can I open your suitcase for the souvenirs. --P.S. All I can say is those better be SOME souvenirs you bring back. He survived against all odds. He lived to tell. 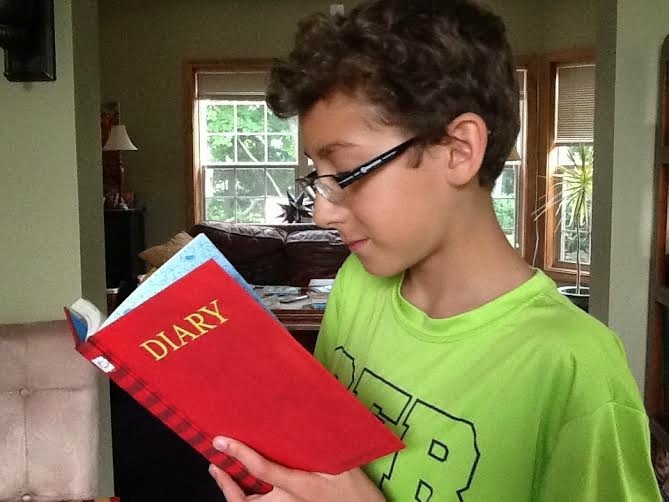 This is Auggie's BlogHer story. 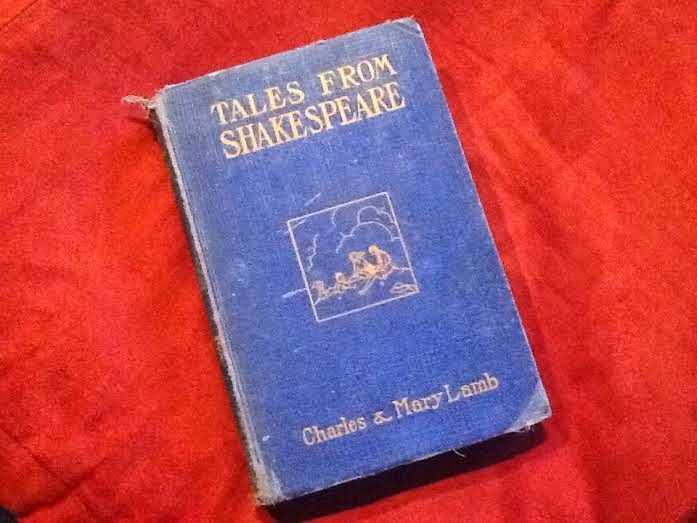 After a lifetime of writing in notebooks, can't wait any longer to pen own stories like Tales From Shakespeare. Begins own place for stories, a blog called Good Day Regular People. Surprised that when pushing publish, computer doesn't explode. MO of saying a prayer each time hits publish button but quickly falls in love with the publish button and only sanity stops from publishing a post every two hours. 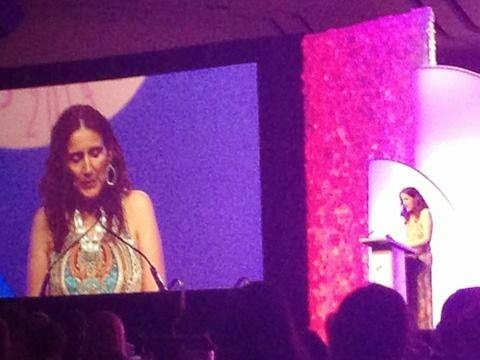 Chosen to read at BlogHer conference in San Diego, for Voice of The Year/Humor category, "When You Love a Blogger." 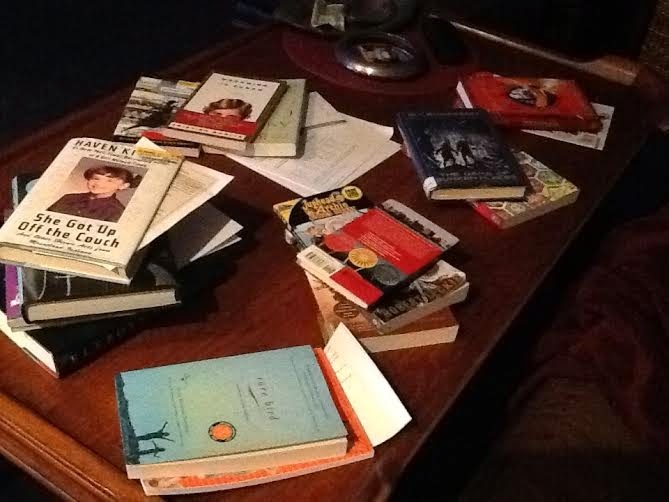 Reads for first time in front of audience, afterward, closes eyes and makes wish to do it again. Decides to propose panel for BlogHer conference in NYC, pitches "Blogging for the love it: personal blogging versus monetization." 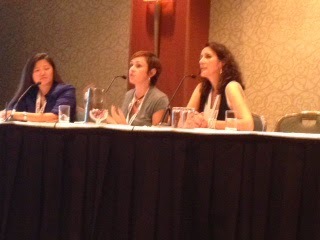 BlogHer accepts pitch and becomes part of panel for annual conference. Butterflies in stomach, closes eyes and feels the joy in talking blogging. Confident from reading and holding panel at BlogHer, reaches for star and auditions for show that BlogHer has supported since the beginning, Listen To Your Mother. Makes the cast of LTYM Madison show. Reads original piece before audience, hits hard how this THIS of storytelling is what fuels. Sends in ideas both for panel and idea for open forum. Panel idea not accepted but yes to forum topic. Co-hosts "Shedding the façade: the vulnerable of personal blogging" in Chicago. Less butterflies, no less thrills. In love with the discussion of writing online. 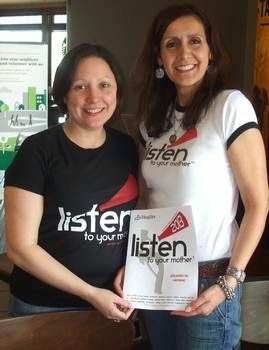 Applies to bring Listen To Your Mother show to Milwaukee, national sponsor is BlogHer. Proposal accepted. Holds first show on May 5, 2013. Receives email invitation to celebrate BlogHer's 10th anniversary as part of 10x10: 10 minutes on 10 years of blogging. 15 presenters with extraordinary stories. Presents onstage at BlogHer in San Jose, feeling lightness of floating when gifted with being on stage, telling stories, a dream cast while holding Tales From Shakespeare in five-year-old hands. I've been walking on air, only tethered by a gratefulness to BlogHer, its pioneering co-founders, Elisa Camahort Page, Lisa Stone, Jory Des Jardins, and the BlogHer staff for their commitment to BlogHer's community: "... to empower and have BlogHer's members feel their value." I owe BlogHer everything. I can't express how in debt I feel to you for all you've done for me through providing me with community, support, resources, and opportunity. You've given me chances to grow, develop confidence, and through networking, connected me with bloggers. 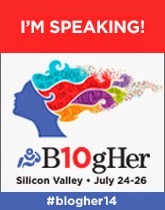 Thank you, BlogHer, for the surreal HONOR of being a 10x10 presenter. For four years now, I have had one of the highlights of my life. Attending the annual BlogHer Conference. Before these conferences, I rarely traveled without my family. But now, every year, my children have learned to be without me. If you ask the teens, they'd say BlogHer has become the highlight of their life, too. But for my littlest, it's Survival of the Fittest. The big brothers gang up on him, to be fair-- they comfort, too. But those instances are a lot harder for him to remember. Things are turned so upside down for the youngest while I'm gone, that he began taking notes on all the transgressions against him, so that the household would be held accountable. He calls them his 'notes', and if the word *tattle-tale* flashed through your mind, well, he'd have to correct you. Coming home to Auggie's 'notes' has become my favorite part about BlogHer. Really. 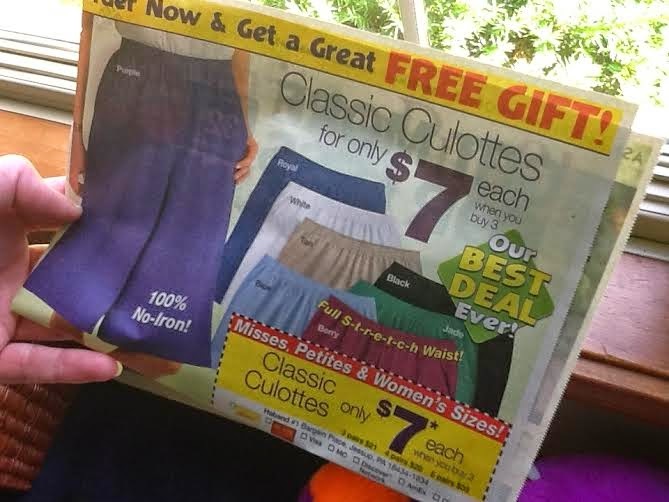 And while BlogHer is fantastic, amazing, incredible, and every superlative you can think of, there is nothing like reading the list of sufferings endured in my absence. 2014's 'notes', I can hardly wait to get back home. See you all next week! I'll be leaving for the conference tonight and if you ever get the chance to attend a BlogHer conference, don't miss it. Beyond words -- the friendship, information, connection, and community of a group of people who have found the thing they LOVE to do: BLOGGING! There are only four days until BlogHer's conference takes place in San Jose, California. 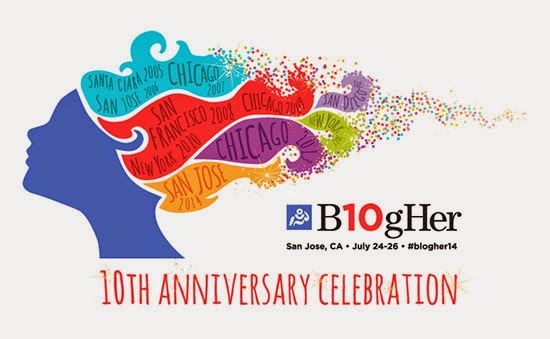 It's always four days of fantastic time spent learning, connecting, and being with people who share the same passion as I do, but this year, it's an extraordinary event because it's BlogHer's TENTH anniversary celebration. 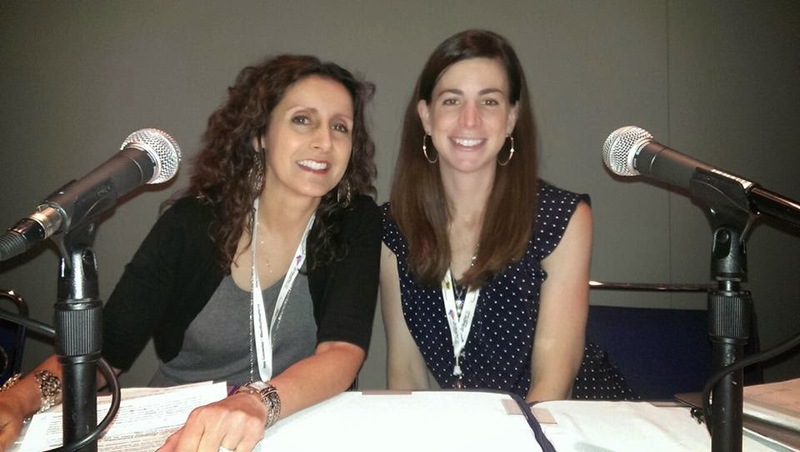 A decade ago, co-founders Elisa Camahort Page, Lisa Stone, and Jory Des Jardins asked, “Where are all the women bloggers?” They provided that answer by creating the first BlogHer conference in 2005. 300 + women and men attended, and from that start, they've grown to where last year's attendance at the 9th BlogHer conference in NYC was over 5,000. The hunger for networking and connection was so strong, that 99% of the attendees said "definitely" for a 2nd years conference. I'm honored to be participating in this year's special conference celebrating a decade of the world's largest social media conference for women. And I'm excited to have been chosen to participate in BlogHer's 10x10 project: 10 minutes on 10 years. I'll be one of 15 women giving a community keynote on the main stage, sharing our stories about our journey in this online life. We will collectively speak on what blogging has done for us, where it's taken us, and what the next ten years will bring for all of us. The 10x10 Project aims to bring those reflections and predictions to life online and onsite at BlogHer '14. We want to create a wonderful record of all that we've seen and done, shared (and maybe deleted) together as part of this community. I thank everyone here. You are my online community. With your visits and comments, you have encouraged me and inspired me. You've given me friendship and support, and the confidence to live a life I dreamed of. I will never take blogging for granted, and it's the interaction with you, that has made me feel that way. I am grateful for you. *To read more about BlogHer's 10x10 project and the others speaking, please click here. When you live online, there are things you know about. Like a conference for bloggers that is the largest in the world. It's called BlogHer and its attendance reaches numbers of 5,000. It's big. San Jose is the city host this year, and it happens this Thursday. This conference is the largest social media conference for women and provides the chance to meet face to face with bloggers you follow, have met, or can't wait to meet. These conferences are a terrific opportunity to connect, but what if the thought of being with so many people starts your heart racing and your armpits sweating? No matter how much you want to go, you know you just can't. Crowds are terrifying. But you hate to miss out, so the question is, how do you attend a conference, when large numbers of people aren't your thing? What if you've bought your BlogHer ticket, but your stomach can't take the stress of greeting and meeting new people. With a personality type that's easily overwhelmed at the thought of a small city of people and that await you, do you talk yourself into it and go anyway? You want to go and be there, and more than anything, you are tired of missing out on things just because you don't know if you can handle this. What if you say the wrong thing when you're there? What if you never open your mouth and no one gets to hear you say the right thing once you are there? My advice, is go anyway. Go. My first BlogHer was in 2011, in San Diego. It got off to a rocky start, with my fight or flight kicking in when I saw the number of people in the hotel lobby, but the first person I saw when I walked to the registration desk, was Polly Pagenhart, who blogs at LesbianDad. I had talked to her via conference call and knew her face well. 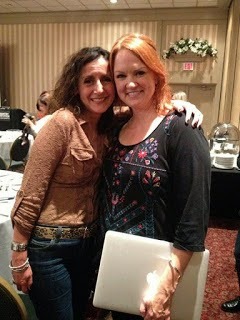 I had tears of relief when I saw her familiar face, because I wasn't even at BlogHer two minutes, and I had a friend. My mental dialogue switched from chastising myself for paying all that money to get there and making all those plans for child care for five days away, just to end up hiding in my hotel room, with one kind gesture of welcome from Polly. I had gone from the self talk of You shouldn't have come! and promising myself to never try such a grand plan again, to smiling, giddy, at finally meeting a blogger friend in real life. Those of you with any last minute or pre-minute BlogHer jitters, I'm with you. I hear you. And I feel the same way, BUT, I promise you this, you'll love it once you get there. I loved my first BlogHer conference so much, I haven't missed one since. I have my plane ticket to San Jose this year, and I'll be at BlogHer '14 in less than a week. Because it will be four nights and four days of getting the rare chance to say Thank you! and I love your blog! to all the writers that make me smile and feel less alone. I'll be with my people and I won't have to pretend to fit in anywhere for FOUR DAYS. It's work to bring myself out of my shell, but I do it. It doesn't feel any more natural now than it did when I first went to BlogHer three years ago, but I'm there, because missing out on things from fear or panic is not something I'm going to do anymore. And I'm not saying it's easy to just buck up and do it. I know it's hard. But the risk, to climb over the perceived threat to our being, the fear that makes us want to lock the hotel door behind us while we dive under the covers, is not going to win. I've examined what brings out the adrenaline in me, wondering what it is that tells my body to run and hide, and I'm going to press over-ride on these emotions and fight that urge. Years ago, a wise therapist told me that the best defense we have against any attack is knowledge. Information; finding out what causes what and therein you can start to re-work the puzzle to create a different picture. What you find inside when you ask yourself these questions, is uniquely your story. For me, my answer is the fear of past pain, being hurt by rejection. It's this that I want to avoid and what sends me racing to the elevator bank, pushing the button over and over thinking it will get the elevator here faster to take me to my room. I know what else is behind my fear; it's the What if I say something wrong? Or act the wrong way? What if I'm too friendly or not friendly? Boring or obnoxious? I fear all of these things because they've each happened to me. And I wince at the memory. I have said the wrong thing and called someone the wrong name in front of her friends, I have hugged someone who was very very hands off, I have appeared unfriendly when I was actually overwhelmed at meeting so many people at once (so interesting how overwhelmed more often than not gets translated as unapproachable), I have met someone I really liked and just about jumped in their lap -- when the feelings were not equally returned. I have stood quiet, not saying anything, while surrounded by so many faces at once. I have not always been able to think of something clever to say, even though expectations are high for a humor writer. I've also blurted out funny things that leave me laughing, but no one else. But, every single that time I've taken a chance and gone beyond what is comfortable to me, it's been good. Really good. How do you attend a 5,000 people big conference when you're an introvert? By knowing that you'll come home being hugged back as hard as you hugged, having spent time talking with the special people who are part of your daily online life, by feeling that there were people just as grateful to meet you as you were to meet them. You attend a conference the size of BlogHer because you really want to, and you are not going to miss something again because of your imagination running wild. You will be there, among friends not yet met, and deepening relationships already begun. And when BlogHer announces the location for next year's conference, you'll go home and order your ticket for 2015. And you'll be so glad you'll be back again, next year. If you'll be at BlogHer and see me, please say hello - I'll be easy to spot. I'm the one with the deer frozen in the headlights look-- but if you get closer, you'll see that there's a smile there, I just have one of those faces that spells terrified. The blogging world is bursting at the seams with writers. You could spend 17 hours straight reading, then taking a break for sleep or ordering pizza, your choice, and pick up again on the internet and still, you wouldn't have covered even a sliver of all the voices out there. --Deb Rox of Deb on the rocks. Stone cold drop dead laugh out loud. With whiplash smarts thrown in. She writes and edits for BlogHer's entertainment section, too. To miss a post of Deb's is to miss an experience in originality that'll leave you breathless. Don't miss her writing, anywhere. Also, she's the only true rock star I know. --Vikki Reich of Up Popped a Fox. 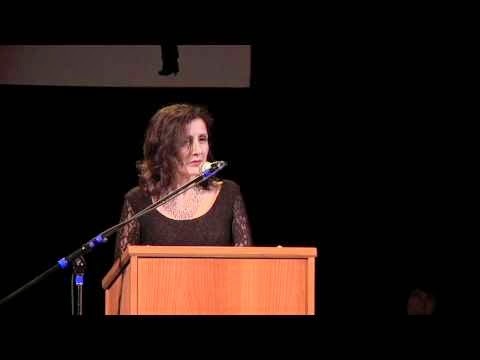 Seriously, this woman combines humor with poignant moments. She leaves me in my tracks. Vikki has a unique voice filled with the wisdom of someone who is a work in progress and knows it. She brings you along. Vikki's been blogging since 2006 and has received the Beyond the Pure Fellowship for writers. --Deborah Goldstein. I met Deborah at BlogHer and I didn't escape unscathed. She charms like a magic potion. Her blog Peaches and Coconuts is based on something her father would say, "Some people are like peaches, soft inside, hard pit inside, some like coconuts, hard outside, soft inside." She writes of the beautiful messy of parenting and the art of tending to young souls, and takes care of us, in the process. --Life with Roozle is a daily blog read for me. Casey Carey-Brown is the author of this blog that features her daughter, Riley. You'll click over for the heart-melting photography, but it's Casey's pure, direct style of writing that'll capture you. One of my favorites, no doubt. Casey was BlogHer Community Keynote 2013 for a reason you'll see is obvious. --Susan Goldberg keeps a blog called Mama non grata. The title is every bit as captivating as the author behind it. If you're tottering on whether Canadians are as cool as you think they are, she seals the deal. Her writing spans motherhood while being motherless herself, and her posts always leave you still while you take in just what she's shared. She's a genuine gift on the internet. All of the bloggers mentioned here have one thing in common: They write some of the best content on the internet. Pay them a visit, and you'll be as blown away as I was when I first found them. 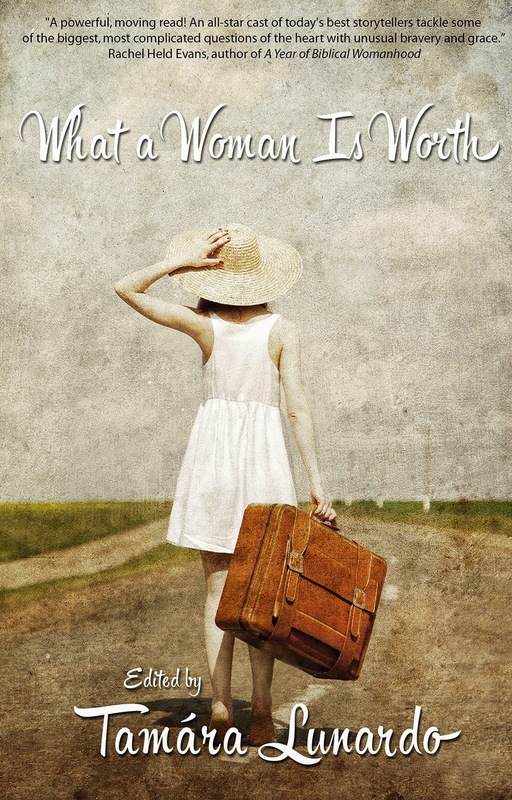 *Thank you to Liz Gumbinner of Mom-101 and Deb Rox for inspiring this post. It was long over due, on my part. The back story: a list of Top Mom Bloggers was recently released. No LGBT bloggers were on that list. Whether an oversight or not, we won't know. But the fact remains, LGBT bloggers have a voice that belongs among the voices of the blogging community. The women I've listed here are part of this LGBT community, as well as being some of the most talented, gifted writers in my internet. After less than ten months of blogging, I was able to find the women listed above. To not have at least one blogger from the LGBT community on a list of "blogs to follow" isn't a good thing. I find it unrealistic that none of these women are known to a list making community. Lists that are incomplete rob so many of the opportunity of delightful internet discoveries. Not to mention, diversity. I used to think that you needed to take a photography class at your local community college before you could learn to take a good picture. Skills? For what? Things have pretty much whittled down to nothing more than selfies anyway. A photo of you, a decent one, is all you really need to know how to do. Tired of pictures showing me with three chins and a forehead looking like it was lined with ten earthworms, I googled a youtube tutorial. After just 58 seconds of How To Take That Selfie I was ready to hit the ground running. What I learned was pretty basic, and yet, it had escaped me. I feel confident enough to say that I can now take pictures of my family and my face without filling up my iPad with 1,349 photos -- which is how it's been going. All you really need to do is to capture who you are. PERSONALITY. Personality is what blinds the camera. When you're no longer young, the camera doesn't let you forget that. So, be you with a capital Y and tell a story with your face. That's the key to watching your photogenicity... ty... ty go straight through the roof. I know, I know, you've been told by photography sites that you need to get Up Close! But, not in a selfie case. Distance is your friend. And more than ten feet away, is your lover. Well, really, you can do it two ways, now that I remember. Get SOOPER close, where just like an 1/8 inch patch of your face shows, or get far far away, like across the street and a block away. That works great, too. And finally, go against all photo sites, yet again. No need to “hold it, hold it, steady now...” You want a shaky cam because a shaky cam is a blurred image. 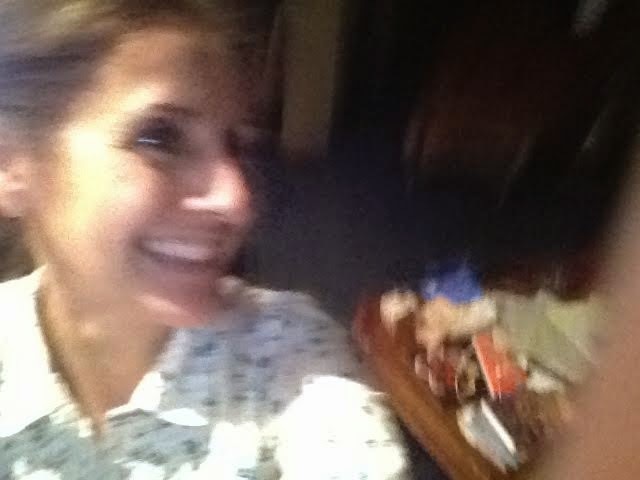 And a blurred image works like that $80 dollar bottle of lotion for your face that promises ten years off in 79.4 days. You can call them “caught in the action” shots, a beautiful hurried moment in your busy busy important life. I know them as Thermalift in camera form. Sorry, I've got no advice about any messes in the background. Except clean it up. Or keep it real. Either way.